Tributes for the victims of 9/11 are pouring in from around the country today, including here in Butler County. The Slippery Rock Volunteer Fire Department and Rescue Team marked today’s 17th anniversary of the terrorist attacks by raising the American flag on its ladder truck Tuesday morning. 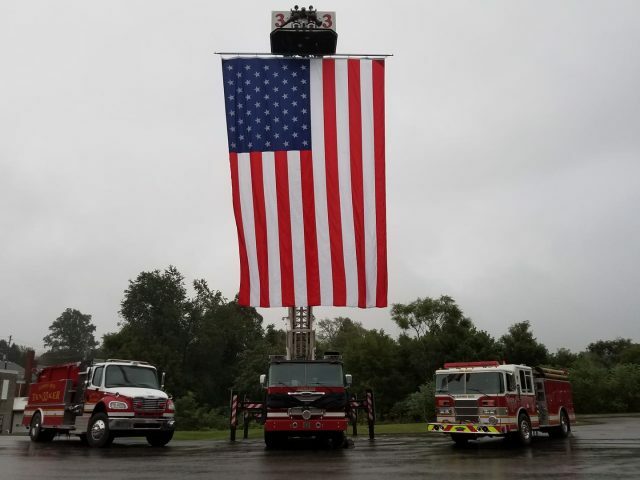 The Seneca Valley School District in southern Butler County will be honoring Patriot Day today by connecting lessons and activities in tribute to 9/11. A Harmony Fire District Ladder Truck, with an oversized flag, will be stationed on the secondary campus today.